Aldinga is our newest beach landing location! 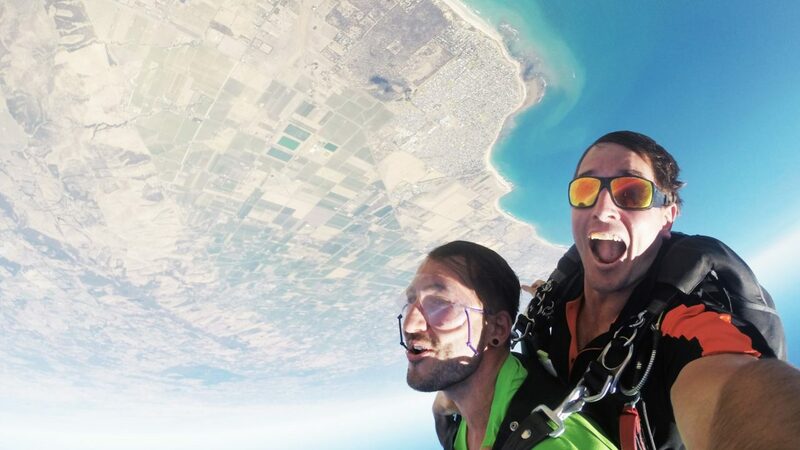 This skydive experience will take you to one of Adelaide's favourite beaches with crystal blue water framed by stunning coastal cliffs. Enjoy the benefits of the McLaren Vale Wine region to top off your day! See what these guys thought about the experience! Took the plunge with coastal skydive! Awesome, I will remember it for the rest of my life. Instructors were cool and calm. Great people. What an experience. Thankyou coastal skydive, definitely the people to see if you want the thrill of a dive. Great staff and made my first time jump an experience that I will never forget and can’t wait to do again. You just have to do it! A massive thank you to Vernon and the crew at Coastal Skydive. My daughter Monique had the best time. Vernon was fabulous, made her feel at ease which made it a lot easier for me. Thank you so much!